G&G CARGO SERVICES is a Freight Forwarder and a Service Company specialized in the logistic and transportation of perishables products. 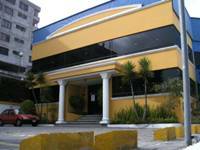 G&G CARGO SERVICE, S.A. was established in 1994, in QUITO - ECUADOR. Jorge Garces, President - CEO and his family wanted to offer a personalized and professional service to the American, European and Asian Flower Importers. In 1997 G&G CARGO SERVICE S.A. opened a Consolidation Facility with coolers and offices three miles away from the Quito International Airport. 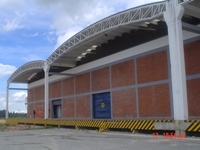 This facility served the northern region of Ecuador and specially the Growing Flower Industry. In this building G&G CARGO SERVICES S.A. has its headquarters. 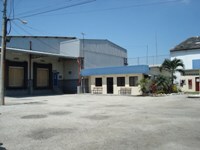 In this building G&G CARGO SERVICES S.A. has its headquarters. The coordination offices, accounting, systems and management are located here. G&G disposes of top technology for its cooling service based on equipment perfectly programmed for frost control. It has appropriate staff to verify the environment temperature in its cooling facilities that range between 0.5°C and 3°C (32. ()0F and 37.4°F). Their walls with polyethylene lining and hermetic closing avoid temperature variations. Also, it possesses a separate generator, should there be any need for additional power. G&G provides additional pre-cooling services for cargo not complying with the appropriate temperatures, which is provided upon client approval. And it offers systematized stock control based on the cargo reception and automatic conciliation of transportation documentation. These are the tasks G&G works hard every day to accomplish to make its services completely satisfactory . In August 1998, we opened G&G CARGO GUAYAQUIL in GUAYAQUIL-ECUADOR in order to provide freight forwarding Services for different industries like; flowers, crafts, whitefish, tilapia, etc. 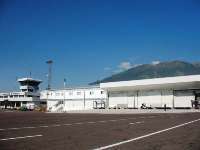 The new facility served the Ecuadorian coastal and southern regions of Ecuador and is located at the Guayaquil International Airport Cargo Area. We comply with all the Interpol Security requirements including X-ray analysis for both dry and perishable products. That office represents an important number of international expert companies in the handling of sea cargo from Asia and Europe to our country .The facilities it counts on are located in the cargo area at Simon Bolívar Airport having an extension of 4000 square meters where the cargo is palletized for some airlines and offers cooling services. In 2000, facing the need to expand our services, G&G CARGO SERVICE, INC. opened the MIAMI DISTRIBUTION CENTER. This U.S. CUSTOMS BONDED FACILITY offers complementary and integral logistics services for incoming cargo to the United States. In 2000, facing the need to expand our services, G&G CARGO SERVICE, INC. opened the MIAMI DISTRIBUTION CENTER. This U.S. CUSTOMS BONDED FACILITY offers complementary and integral logistics services for incoming cargo to the United States. At the Miami Facility we receive Flowers from over 20 different countries and distribute them domestic to the 50 States. This Facility is also a CONTAINER FREIGHT STATION (CFS) that allows us to handle Bonded Cargo in transfer to Europe, Canada and Asia. In 2004 we obtain a CUSTOM BONDED WAREHOUSE STATUS. These permits plus the CARTMAN authorization for bonded cargo tranportation with our trucks give G&G a complete posibility to handle INBOND CARGO. In 2002 we opened our operation in Colombia, offering new services to the Colombian Farms. In 2005, G&G CARGO SERVICE. LTDA, a Colombian company opened its operation at EL DORADO Airport in Bogota. This Operation offered as many services as possible to our customers. We dedicated special interest in security. In 2006 G&G CARGO SERVICE along with other important companies established a State of the Art Flower and Perishables Consolidation Point in Quito Ecuador. This facility considered the biggest and most advanced one in Southamerica is called the QUITO PERISHABLE CENTER. The new Perishable Center is located at the Mariscal Sucre Airport and become one of the most important improvements for quality and temperature control for the fresh cut flower industry. All offices in South America and USA provide services of Customs Broker, Import, Export, Storage, International Commerce, plus a Fully Computerized System that allows the customer to track and trace cargo.